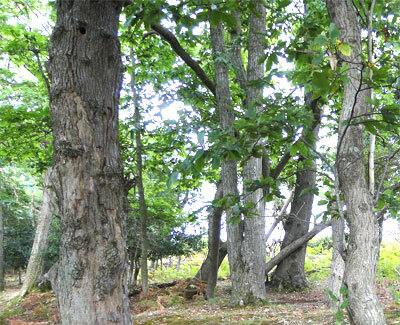 At Woodserve we pride ourselves on our ability to provide a full range of services for any woodland, forest or estate. Woodlands of all sizes require management to ensure their continuing health, maximise the value of the timber and to encourage a sustainable wildlife habitat. We have specifically designated teams that specialise in woodland management. 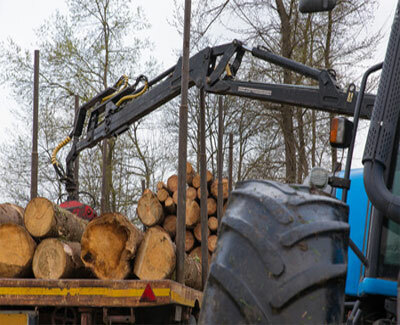 We are specifically geared up for timber extraction and are able to manage the felling, removal and transportation of the timber from the first felling to the delivery to the desired location. Armed with the latest grapple/skidding equipment, forestry tractors and forwarding trailers we can plan and execute a felling project completely. In addition, we provide extensive planting services and can facilitate the re-establishment of cleared areas. 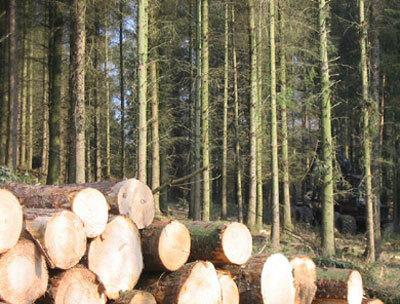 At Woodserve we aim to help achieve all the objectives of the responsible woodland owner. d below. Our services include selective thinning, coppicing, pollarding, root pruning, stump grinding and clear felling. 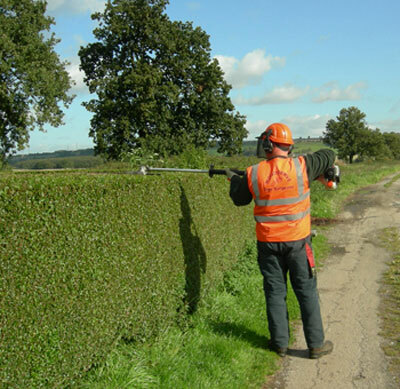 We are also able to provide hedge management and establishment including traditional skills such as hedge-laying. To complete the range we can also erect all types of fencing and tackle the invasive rhododendron problems. Alongside our hands on services, we can provide consultancy services including arboricultural reports, ecological reports and bat surveys. Our arboricultural knowledge will ensure that difficult trees can be dealt with in complete safety. We have our own woodland projects extracting timber to supply our firewood production services and are able to do this for others too. Whether it is conservation, wildlife, landscape, sporting amenity or timber protection we can help achieve your objectives. Our low impact approach means we aim to minimise disruption to the ecosystem. If you are in need of a felling licence we can assist with the application process and we are always happy to advise, and act on your behalf if required, with grant applications.